If someone said five years ago I would be host and co-producer of a TV show, I would have thought they were out of their mind. It all started in the summer of 2012 when Houston Community College (HCC) did a call-out to anyone who wanted to “pitch” a show to the network for the next season. 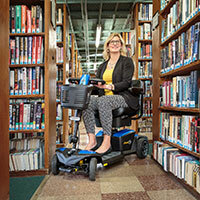 I had never seen a show on any network—local or cable—that highlighted disabilities in a positive light and served as a resource to the community. As Ms. 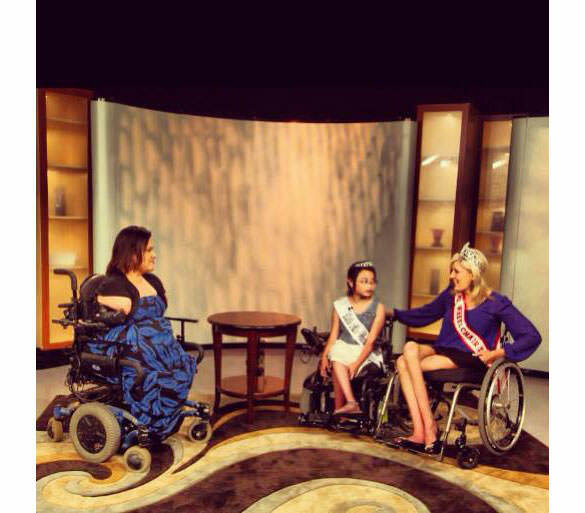 Wheelchair Texas I had done countless interviews and was featured in a documentary called Defining Beauty: Ms. Wheelchair America, but having my own show was a different animal. Insecurities and fears aside, I decided to go for it and offer a show that highlights individuals’ abilities and educates the community on different resources that exist in the state of Texas. A month after the interview, I received a notice that they liked the show’s idea and would like to start taping in two months! I am very lucky to work with a great team—my co-producers Dr. Toni Rao-Delgado and Jason Simon—who bring the experience and knowledge it takes to make the show go from dream to reality. We came up with the name No Barriers because we wanted the show to be symbolic of living a life where the only limitations that exist are those that you place upon yourself. As a person who was born with a disability, I am not ignorant about the issues that we as people with disabilities face, but I do believe that we can change some of the “barriers” by changing perceptions. Therefore, I wanted guests who are professionals, Paralympians, artists, writers, mothers, sisters, brothers and individuals who are productive members of society and, as a bonus, have a disability. My goal is to help change stereotypes of people with disabilities in society and HCC’s goal is to educate the community—a perfect match! I also wanted to show other individuals with disabilities that they too could enjoy the theater, one day drive a vehicle adapted to their needs, receive accommodations at work or simply learn how to meditate and disconnect once in a while for self-preservation. As the planning process developed, we knew that we wanted to start with something spectacular to show viewers that the show would be innovative. Our premiere went off with a bang at Houston’s 2012 Abilities Expo. In our first episode, we interviewed Expo CEO David Korse, Dancebassador Auti Angel and highlighted the latest technology, workshops and resources offered to people with disabilities in the state of Texas. Since that first episode, we have seen quad rugby, attended a Texas-based barrier free camp called Camp For All and informed ourselves about our employment rights as people with disabilities. No Barriers celebrated its first birthday in August. I am humbled to see what we have accomplished and overwhelmed to know that I have just scratched the surface. In April, out of 800 entries, the Alliance for Community Media awarded No Barriers a Hometown Media Award in the category of independent producers in “About Access and Empowerment.” A month later, we were honored to receive an “Excellence in Journalism” award from the Texas Rehab Commission (TRA). While the mainstream media is slowly becoming more accepting of people with disabilities by featuring actors who have disabilities in shows like American Horror Stories and the Sundance Channel reality show Push Girls, more couldn’t hurt! More recognitions and opportunities need to be given to actors, and we need more programing that includes different abilities. 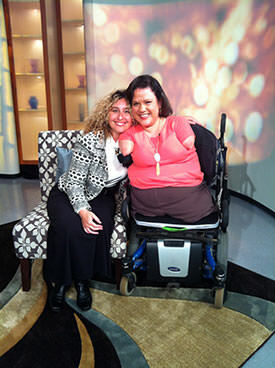 At the end of every episode, I close with Mahatma Gandhi’s quote, “Be the change you want to see in the world,” and my own motto, “I don’t place any barriers when I sit in this chair, why should you?” I can only hope that, by removing barriers, I am making changes in both society’s perception of people with disabilities and our own perception of ourselves.